At John Cullen and Sons we have been installing heating for over 35 years and have kept pace with the many changes within the industry to both products and installation design and techniques. We have achieved this with our affiliation to different organisations and by training our installation engineers on these new products, designs and techniques within gas, oil, solid fuel and LPG systems. The services we provide in the heating industry are: installation and design of new heating systems, upgrading of existing systems with new boilers and controls, cleaning of systems by way of power flushing and chemical treatments, replacement radiators, etc. As we have a vast knowledge of both old and new systems, as well as well trained engineers, some of whom have been with our company for over 30 years, we specialise in solving problems with or modifying older systems - often found in larger properties. There are often technical issues relating to installing new modern high efficiency boiler/boilers to older systems, however with our understanding of how older systems operate, we can design a system in consultation with the boiler manufacturer to overcome these technical issues. At John Cullen and Sons we are particular about the products we use in our heating systems and designs. We use products based on what we have found to be reliable over the long term and those where the manufacturer has excellent after sales service. We have built up a good relationship with our manufacturers over a number of years, and through these relationships, we find they offer us a high level of service which we are able to pass on to our customers. The main part of our heating business is the fitting of replacement boilers to existing heating systems. We fit approximately 200 to 250 boilers to new or existing systems annually. 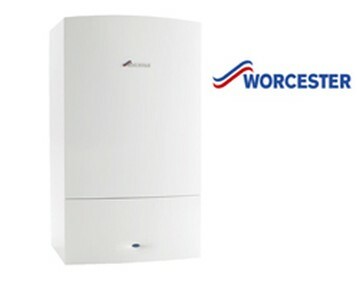 Our preferred products are from the Worcester Bosch range of gas, oil and LPG boilers. We have been fitting Worcester products for over 25 years and in 2005 we became one of Worcester Bosch's Accredited Installers. As Worcester Bosch do not install boilers themselves, they have set up a chain of installers throughout the UK. Each of these installers is vetted by Worcester Bosch and must attend training on their products. This ultimately means that you have someone who is a specialist installing your boiler and maintaining it for years to come. Another benefit of using an accredited installer is that you will receive an extended warranty from Worcester Bosch through us which can be up to Eight years (the standard warranty is only 2 years). Amongst our preferred product manufacturers are: Stelrad and Delonghi for both standard and designer radiators, McDonald Engineers for high pressure hot water cylinders (unvented hot water), Grundfoss for pumps, Honeywell for system controls, Fernox for water treatments and Mira for showers. installed in Britain every year.